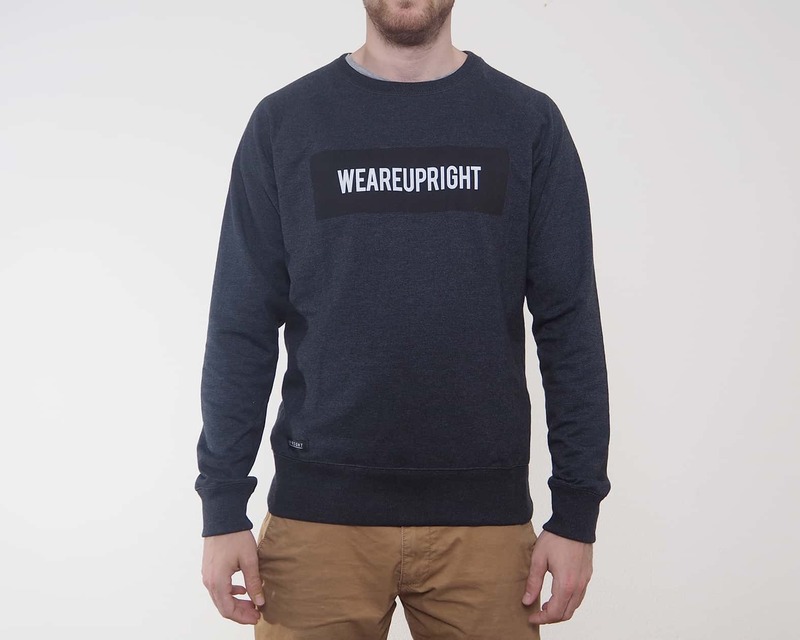 Our crewneck was created from 60% recycled organic cotton fibres and 40% recycled plastic bottles, which therefore is made from 100% recycled material. The blend is very strong and well cut, and fulfills both, the Global Recycle Standard and the Organic Blended Content Standard. Handmade silkscreen print. Printed and embroidered in Switzerland.